Samai arisi is called as little millet in English. This is the very best alternative to rice. it is rich in fiber. The millets like Samai, varagu, kuthirai vali, Thinai, maize, Ragi etc have low glycemic index..Glycemic index is a scale that measures carbohydrates.by the quantity they raise the blood glucose level. we can substitute this millet for rice for any meal. It contains calcium, phosphorous, iron, and protein. So we can include samai in our regular diet and enjoy its benefits. Samai/little millet takes very less time to cook. we can make different varieties of dishes. 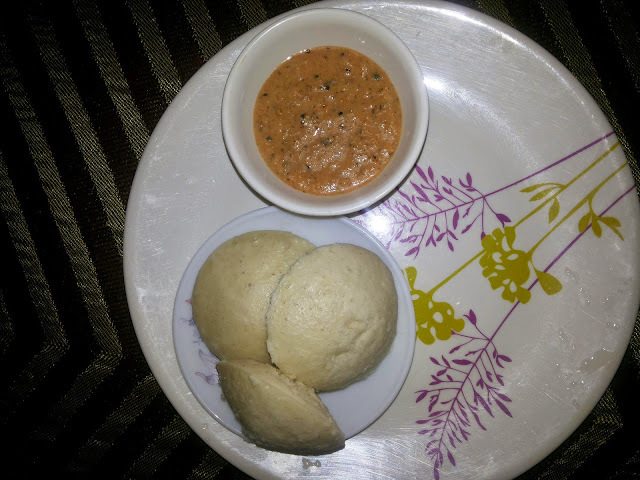 Let us know how to make soft, fluffy, delicious idlies from Samai/Little millet. Samai /Little millet 3 cups urad dal (shree gold brand I always use) 1 cup Salt as needed. 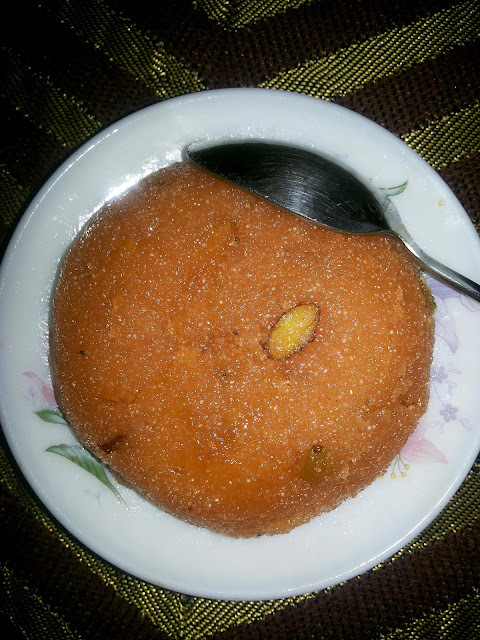 Rava kesari is a popular sweet in Tamilnadu. It is loved by all. This sweet is melt in tongue , prepared during special days and occasions. It is a very easy and quick recipe with a few ingredients. It will surprise your guests at doorstep like a magic. There are so many versions in preparing Rava kesari. But this is an exclusive style of making this exotic dessert. Even beginners can get admired by following this easy method. Let us have a look on the preparation of the soft, glossy and delicious Rava kesari .... Ingredients : White Rava/ Suji 1 cup Sugar 1 and 1/2 cup water two cups Kesar colour powder one pinch Cardomom half teaspoon Fresh ghee melted 3/4 cup Cashews 5 cut into halves Raisins 6 Almonds cut lengthwise 5 Procedure: Heat the pan with two teaspoons of ghee. Let the flame in medium. Add cashews, raisins and almonds to fry. Saute them for a while. Roast Rava along with the nuts and raisins in a low flame. Let the Rava become changed its colour.